Brand: Sota Model: FITE Details: The FITE stands for “Fear is the Enemy”. 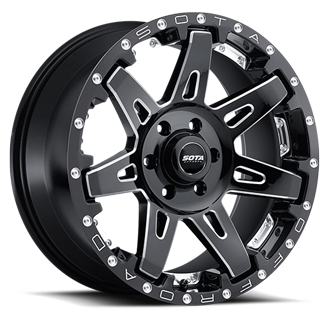 FITE Is A One Piece Cast Aluminum Multi Spoke Standard Five, Six, Or Eight Lug Design Custom SOTA Off-Road Wheel. Size: 20×9, 20×10 Finish(s): Death Metal | Stealth Price: Call for price. 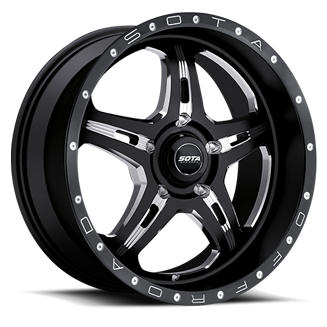 Brand: Sota Model: Scar Details: Size: 20×9, 20×10 Finish(s): Death Metal | Stealth Price: Call for price. 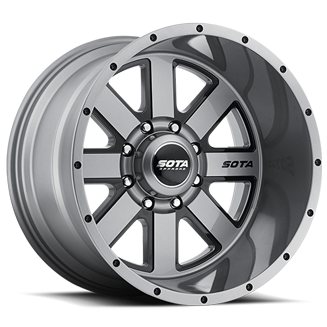 Brand: Sota Model: BATL Details: BATL One Piece Cast Aluminum Multi Spoke Concave Five, Six, Or Eight Lug Design Custom SOTA Off-Road Wheel. Size: 20×9, 20×10 Finish(s): Death Metal Price: Call for price. 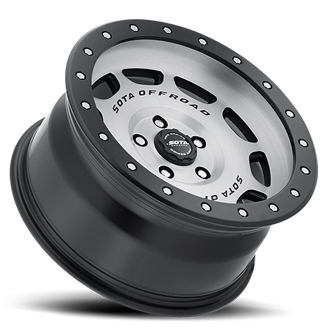 Brand: Sota Model: Pro Series SSD Details: Pro Series SSD Is A One Piece Cast Aluminum Standard Multi Spoke Five, Six, Or Eight Lug Design Custom SOTA Off-Road Wheel. Size: 17×8.5, 20×9, 20×10 Finish(s): Lathed Black | W/O Ring | W/Ring Price: Call for price. 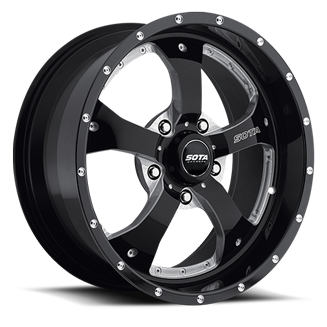 Brand: Sota Model: Repr Details: Size: 20×9, 20×10 Finish(s): Death Metal | Stealth Price: Call for price. 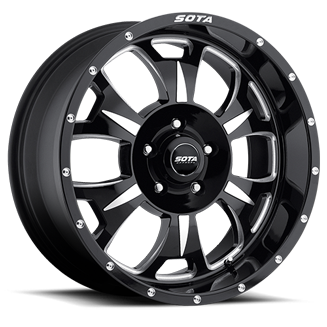 Brand: Sota Model: Novakane Details: Novakane Is A One Piece Cast Aluminum Multi Spoke Standard Five, Six, Or Eight Lug Design Custom SOTA Off-Road Wheel. Size: 17×9, 18×9, 20×9, 20×10, 22×9.5, 22×10.5 Finish(s): Death Metal | Stealth Price: Call for price. 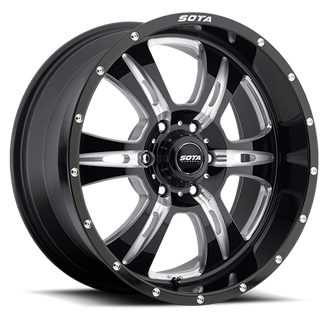 Brand: Sota Model: M-80 Details: M-80 Is A One Piece Cast Aluminum Multi Spoke Standard Five, Six, Or Eight Lug Design Custom SOTA Off-Road Wheel. 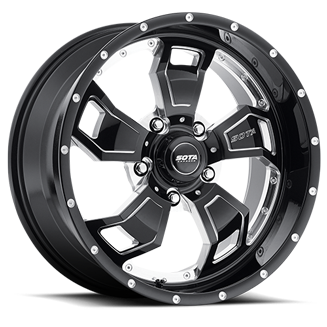 Size: 17×9, 20×9, 20×10 Finish(s): Death Metal | Stealth Price: Call for price. 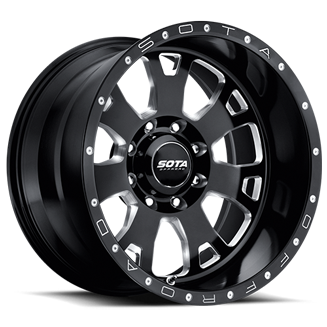 Brand: Sota Model: DRT Details: Pro Series DRT Is A One Piece Cast Aluminum Standard Multi Spoke Five, Six, Or Eight Lug Design Custom SOTA Off-Road Wheel. Size: 20×9, 20×10 Finish(s): Lathed Black | W/O Ring | W/Ring Price: Call for price. 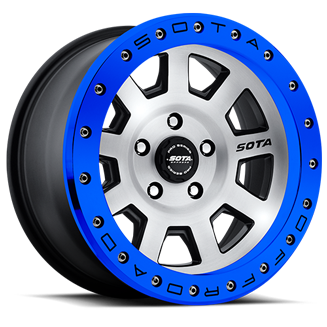 Brand: Sota Model: Awol Details: AWOL Is A One Piece Cast Aluminum Multi Spoke Standard Five, Six, Or Eight Lug Design Custom SOTA Off-Road Wheel. 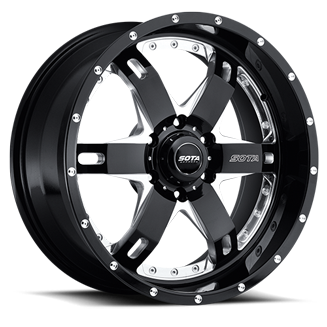 Size: 20×9, 20×10, 20×12, 22×10.5, 22×12 Finish(s): Anthra-Kote Black | Anthra-Kote Machined | Death Metal | Polished | Stealth Price: Call for price. 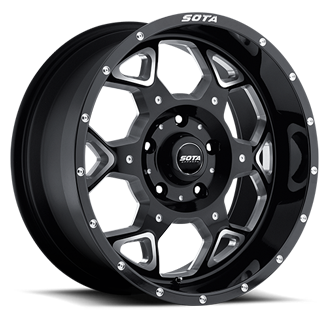 Brand: Sota Model: Brawl Details: Brawl Is A One Piece Cast Aluminum Multi Spoke Standard Five, Six, Or Eight Lug Design Custom SOTA Off-Road Wheel. Size: 20×9, 20×10, 20×12, 22×10.5, 22×12 Finish(s): Death Metal | Polished | Stealth Price: Call for price.